Other manufacturers are quietly blocking open-source firmware, too. If you're a fan of third-party software that adds functionality to a Wi-Fi router, your options just got smaller. The Federal Communications Commission has new rules designed to make sure routers operate only within their licensed frequencies and power levels. TP-Link is complying by blocking open-source firmware like the Linux-based OpenWRT and DD-WRT from its routers. That’s the easiest way for router manufacturers to comply. Describe, if the device permits third-party software or firmware installation, what mechanisms are provided by the manufacturer to permit integration of such functions while ensuring that the RF parameters of the device cannot be operated outside its authorization for operation in the U.S. In the description include what controls and/or agreements are in place with providers of third-party functionality to ensure the devices’ underlying RF parameters are unchanged and how the manufacturer verifies the functionality. Router manufacturers haven’t wanted to comment on the record about this, but it appears that TP-Link, Rosewill, and Netgear, at least, have quietly rolled out updates that prevent unauthorized firmware installation on existing routers. 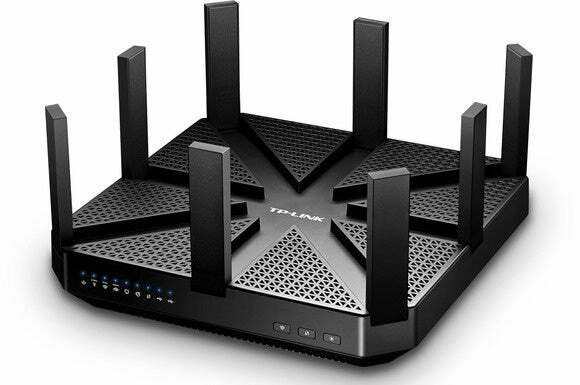 TP-Link is now the first router manufacturer to come forward and say it’s “limiting the functionality of its routers” in the United States to comply with FCC regulations. Open-source firmware installation won’t be allowed. TP-Link even posted an official FAQ on the subject, noting that “the regulation affects all manufacturers marketing routers in the U.S.” I wouldn’t be surprised to see other router manufacturers confirm the same thing soon—or just not comment as they begin shipping locked-down routers.